It seems like every day there’s another story in the news about a pedestrian who is injured while simply walking from one destination to the next. Unfortunately, pedestrians are particularly vulnerable to accidents, especially when it involves a bicycle or larger vehicle. Pedestrian accidents are often fatal and, at the very least, can result in life-changing injuries that you have to deal with for many years after the accident. If you are involved in a pedestrian accident, whether it’s with a car, bicycle, or other vehicle, you could be entitled to compensation for your injuries. Make sure you have an experienced Boise pedestrian accident lawyer on your side to help. The streets and roadways of Boise, Idaho, may not be as busy as the streets of larger cities like Chicago or New York, but there are still plenty of businesses and a heavy population that enjoys spending time outdoors. This means that on any given day, there are likely to be plenty of pedestrians going about their business. These pedestrians are at risk for severe injuries like traumatic brain injury and spinal cord injury if they are struck by a vehicle because they have nothing to absorb the force of the impact but their own bodies. They can lower the risks by crossing streets at crosswalks and paying attention to the traffic around them, but they can’t control the traffic, especially if there are drivers who aren’t paying attention themselves. How Many Fatalities and Injuries Are There? The Idaho Transportation Department tracks the different types of car accidents, including those that involve pedestrians, in an effort to uncover and examine different patterns found in accidents. These patterns help them come up with ways to make the roads and sidewalks safer for everyone, including pedestrians. In 2014, there were 200 crashes that involved pedestrians in Idaho. Of those 200 crashes, fourteen pedestrians lost their lives, and fifty-five of them sustained serious injuries. The majority of the accidents involved people who were under eighteen years old; forty-seven of the accidents involved people between the ages of fourteen and nineteen. Further, thirty-five of these pedestrian accidents involved children between the ages of four and fourteen. All of these things can help keep people safe when they are walking, but nothing can dictate the way in which drivers handle themselves and respond to pedestrians. Unfortunately, no matter how safe you are or the precautions you take when you walk, you can’t control the actions of other people on the road. If you are injured in a pedestrian accident because of someone else’s negligence, that person should be held responsible for the injuries and damages he or she has caused. Do You Need an Attorney for a Pedestrian Accident? If you are involved in an accident as a pedestrian, it’s a good idea to contact an experienced pedestrian accident attorney in Boise. At the very least, you are almost guaranteed to have medical bills for injuries, which can last for years afterward if not forever. You might also find that you have to miss work because of your injuries, and there could even be long-term medical or mental health issues that you have to deal with as a result of the accident. All of these things can combine to create havoc with your finances and your lifestyle, as well as the lives of the people close to you. 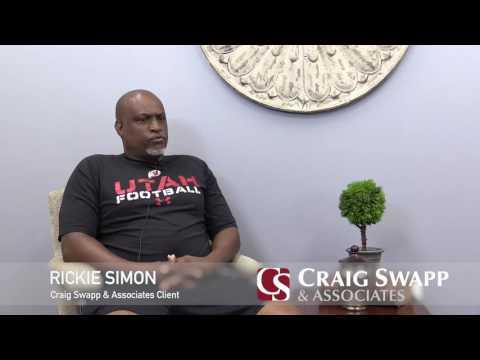 Our attorneys at Craig Swapp & Associates can help you and your family seek the compensation you deserve. If you or a loved one has been injured in a pedestrian accident, you can’t afford to attempt navigating the process alone. Let us help make sure the person who has caused your injuries is held responsible. Contact our office online or call 1-800-404-9000 for a free consultation.